Photo: Daniet Etter/New York Times/Redux /eyevine. 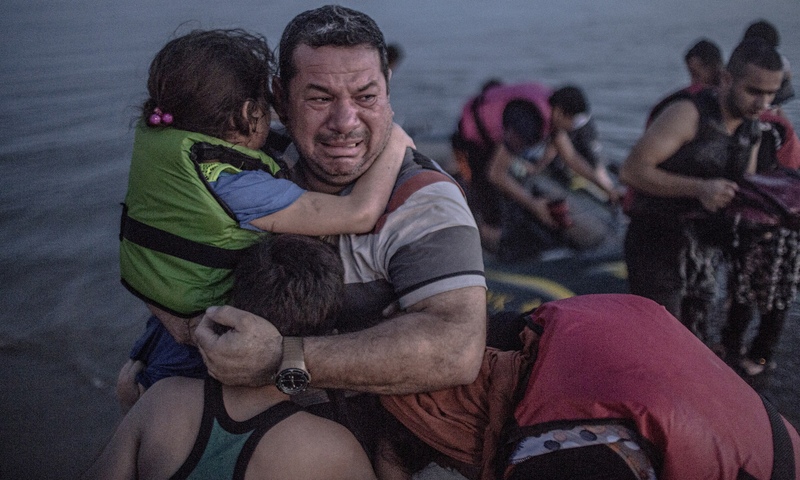 Syrian refugee Laith Majid cries tears of joy and relief that he and his children have made it to Europe. Here is a searing evocation of refugee life by a young Kenyan Somali poetess living in the UK. One of the poem’s couplets is widely quoted at the moment. Read the whole thing though – brillant, urgent, angry, unforgettable.